Hand held hydraulic wire rope, strand and cable cutters are able to cut a variety of conductors, cables, wire ropes and even solid bar. Hydraulic wire rope cutters have guillotine type head shear, minimising jams. No set-up time. Head rotates 180 degrees, and flip top latch allows easy insertion of cable. 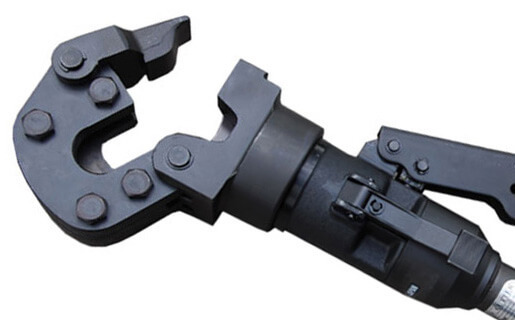 Wire rope cutters ideal both for daily use and as an emergency last measure. All available with full spares and repairs service. Video demonstration of hand held hydraulic wire rope cutters.